Forum member nitrobass24 (and STH author) found a great deal on the SGI Rackable SE3016 SAS expander chassis. For those wondering, the SGI Rackable 3U 16 bay external SAS/ SATA chassis has been a favorite among enthusiasts for many months now. It features a 3.0gbps SAS expander with two external SFF-8088 ports. The 3U SE3016 is currently selling for $175 (+ $30 shipping) on ebay including a full 16 drive tray compliment. These have been selling with several generation old (very low cost) 8 port external SAS controllers for $350 for quite some time and have been a deal at that price. 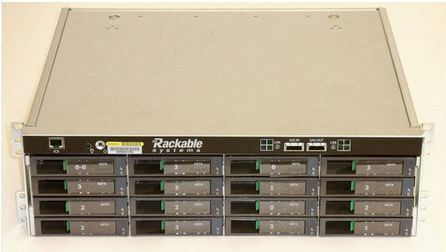 Many SAS expanders sell for $200 or more and the SE3016 includes the chassis. A 16 x 3.5″ drive bay chassis plus power supply generally costs over $300. Getting the two together, plus internal cables for $175 is a significant value. For those looking simply for storage, the SGI Rackable SE3016 has been confirmed to work both with ZFS setups as well as with 4TB drives. Using 16x 4TB drives, one can get up to 64TB of storage in a single controller. 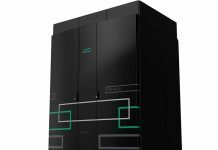 Typical SAS HBAs are 8 port so two of these SAS expander chassis can be combined for a total of 128TB of storage in 6U. Many sellers will offer a LSI8888ELP RAID controller with the SE3016 and charge over $100 for the cards with used batteries. These cards are older generation parts which can use over 19w. They can have up to 512MB of DDR II cache and run RAID 0, 1, 5, 6, 10, 50 and 60. Since the LSI8888ELP is a first generation 3.0gbps SAS part, it is still based on PCIe 1.0 standards meaning one can get severely bottlenecked in terms of performance between the 8x 3.0gbps links and a 1.5GB/s PCIe bus. Here is the LSI documentation. 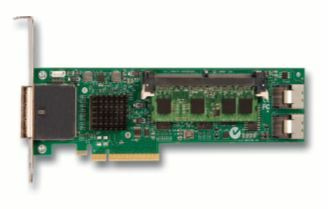 The LSI8888ELP is a LSI 1078 based card so it is going to be a bit slower than its contemporary Areca 1680 series and Adaptec 5800 series RAID controllers. Here is a forum link discussing experiences with the SGI SE3016. This forum topic shows MSM screenshots, benchmarks and the older $200 pricing. Thanks to nitrobass24 for finding the new lower pricing! Also kudos to mikesm on [H] for finding these and trying them out over a year ago. I have been watching these things for a while but have been hesitant. Who knows, they could be the next “M1015” rage. I forgot to mention the big NEGATIVE for eBay, bloody sellers who list them with low prices but huge BS freight costs. These sellers should be banned. You mention PCIe 1.0 as a bottleneck on the LSI8888ELP. Are you stuck with this card or are there any inexpensive alternatives to it? Is there any kind of way to have a “smart” power on/off with something like this? Like the equivalent of wake-on-LAN or even IPMI with servers (or 12 volt triggers with audio equipment). What I envision using this for is as a backup pool. As such, it would not need to be powered on most of the time. But manually powering it on is no good. So if another system could automatically turn it on as-needed, that would be sweet. Does anybody know where to obtain Server 2003 drivers for Rackable SE3016-SAS SCSI Enclosure “Omnistor SE3016”?